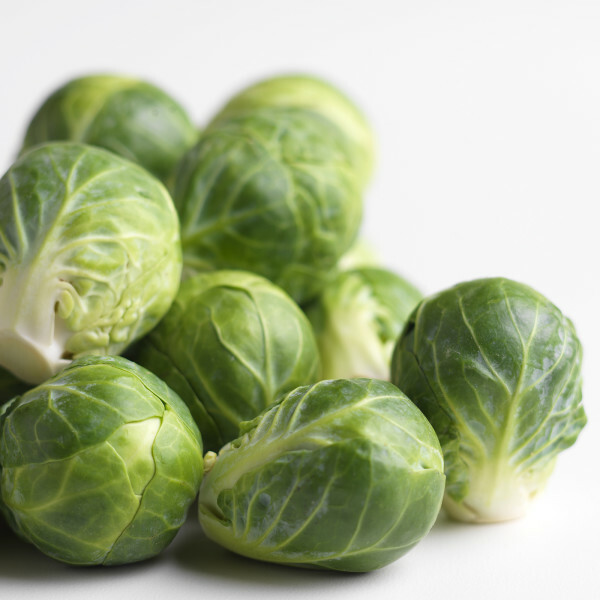 Brussels sprouts are members of the cabbage family grown for their edible buds. They were named after the capital of Belgium, where they may have originated. Today they are widely popular for their versatility and nutritional value. Slightly trim the stem ends and remove any loose or discolored leaves. Cut larger sprouts in half. Alternatively, an “X” may be cut into the end of the stem to ensure that the heat will penetrate the core when being cooked. Test for doneness by inserting a knife tip into the stem end of the sprout. The stem end should be somewhat tender when they are ready. Brussels sprouts are a great side dish and can also be added to pastas or pizzas. Try Brussels sprouts shredded and used raw in salads or slaws. Choose sprouts that appear fresh with an even green color, firm to the touch and compact leaves. Do not wash or trim sprouts before storing them in the refrigerator. Always wash fresh produce before consuming.